Any forward thinking company who is looking to meet financial, strategic or operational goals will use KPI's (key performance indicators). By setting quantifiable targets and measuring whether these targets being are met or exceeded is a proven method to drive a business forward. 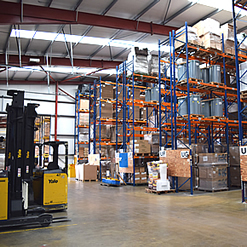 PC Howard Ltd uses KPI's in all aspects of our business and warehousing is no exception. Unlike many companies though, we not only measure our performance to ensure that we are improving, we also allow our customers to see our KPI's too which provides them with valuable management information and enables us all to enter into a process of continual improvement. We can also adapt these key performance indicators for our client's specific needs. Our business relationships with our customers are important – we regard them as a partnership and therefore it is important that our clients know how well we are servicing their account. Our reporting practices ensure that our customers are well informed and constant review allows us to continually improve our services.